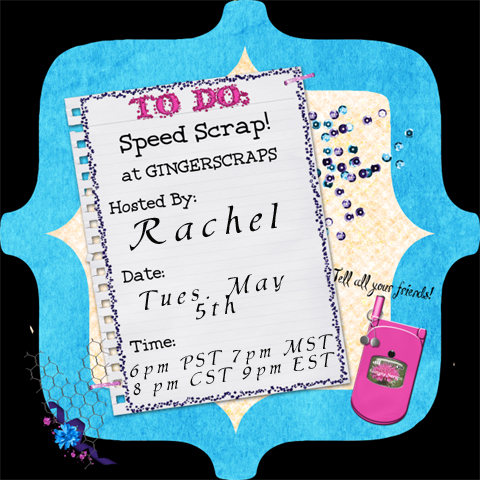 Gingerscraps is doing a speed scrap every day this month for National Scrapbooking Month! Today I'll be hosting. You'll want to be there believe me! There will be a surprise participation prize that you will get DURING the speed scrap to use IN the speed scrap. I do like to keep things interesting you know.